Outstanding Volunteer Project - We won an award! We are delighted to announce that our Marine Conservation project in Thailand has won an award in the "Outstanding Volunteer Project" category of the Global Youth Travel Awards. The Global Youth Travel Awards recognise outstanding performers in 14 fields of international youth travel and reward stakeholders in the youth, student and educational travel industry who make an outstanding contribution to our industry. The Marine Conservation project won "Runner Up" in the "Outstanding Volunteer Project" award. 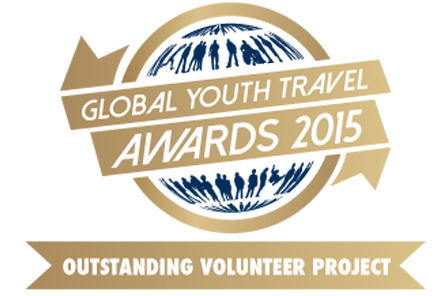 Shortlisted as one of the best volunteer projects by the team at WYSE and the Global Youth Travel Awards. WYSE Work and Volunteer Abroad looks to recognise and showcase volunteer projects that stand out through key characteristics with an emphasis on sustainability, responsibility and best practices in this growing industry segment. We submitted our Marine Conservation project in Koh Tao as a contender for this prestigious award - and we are delighted to have received this recognition. The Marine Conservation project aims to protect and restore coral reef and marine life in Thailand. Our dedicated volunteers work alongside local staff, marine biologists and interns to monitor marine life, provide solutions to protecting the reefs and engage the local community on conservation issues. Pioneering installation of Bio-Rock Artificial Reef structures, collating early research on how, when and where artificial reefs can be successfully installed. Working in partnership with the Tourism Authority of Thailand to encourage positive and responsible business practice in the tourist industry. Working in partnership with Price of Songkla University to develop an ecologically friendly mooring line system to reduce damage from boats. Volunteer-led fundraising initiatives for the local schools as well as conservation workshops for local children, empowering the next generation on Koh Tao. By providing extensive training in conservation issues, the programme inspires volunteers to continue to act as ambassadors for marine protection in their future travels and/or studies. 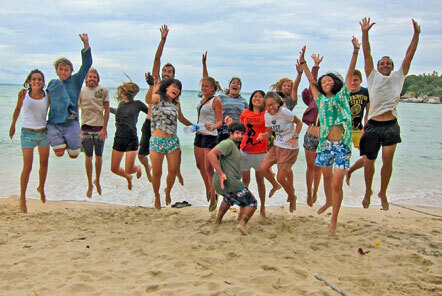 Many volunteers choose to study a conservation related degree and conduct in depth research in Koh Tao as part of their thesis or dissertation. A huge credit to Dev, Chad and their dedicated team in Koh Tao for their hard work and amazing achievements over the past eight years. 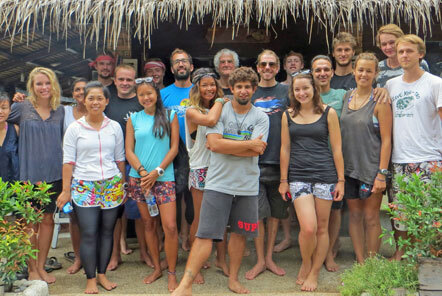 If you are interested in joining the team in Koh Tao, click here to read more about the Marine Conservation project!